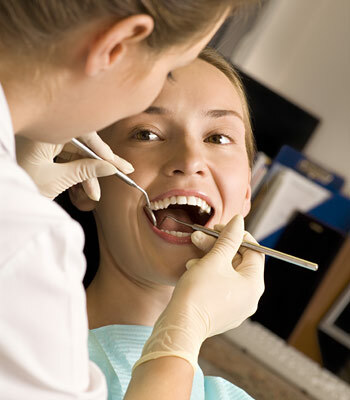 Teeth cleaning is often performed by a dental hygienist a highly trained technician who uses a special set of tools designed just for this purpose. Because everyone's teeth are a little different, your cleaning will be tailored to your particular needs. However, many cleanings follow a similar pattern. Most people don't feel any noticeable discomfort during dental cleanings; some even report they enjoy the experience especially the dramatic results when it's done! If you haven't had a cleaning in a while, however, it may take you a few moments to get used to getting your teeth cleaned. If you experience any discomfort, however, it may be possible to apply a topical numbing gel or another type of anesthetic. If your gums are irritated due to bacterial buildup, they may become sore or bleed slightly during the cleaning. It may be possible to prevent this from occuring in the future with oral hygiene measures you can perform at home (such as improved flossing techniques or special mouthrinses); it might also indicate that you need more frequent in-office cleanings. This type of regular maintenance will help you avoid more involved dental procedures down the road and it will give you the best chance of keeping your teeth for life!